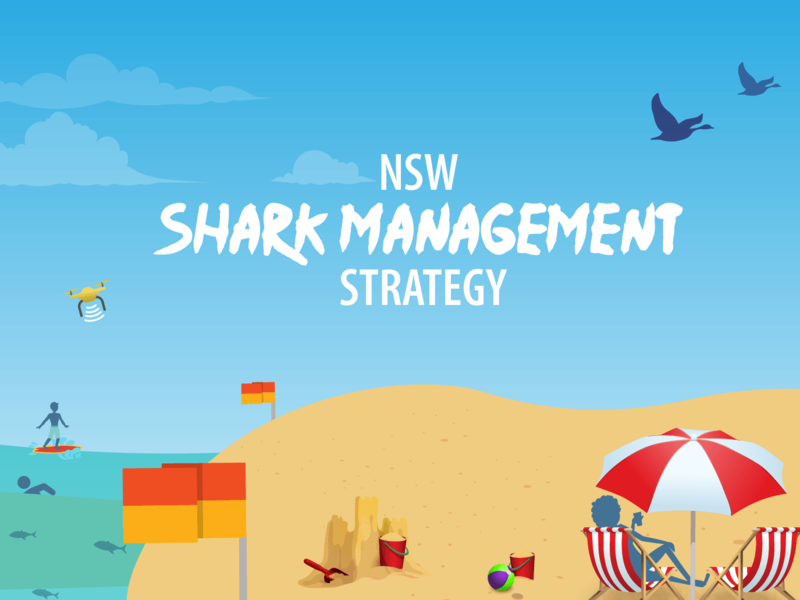 Find information and resources to help you reduce the risk of a close encounter with a shark at NSW beaches and estuaries. 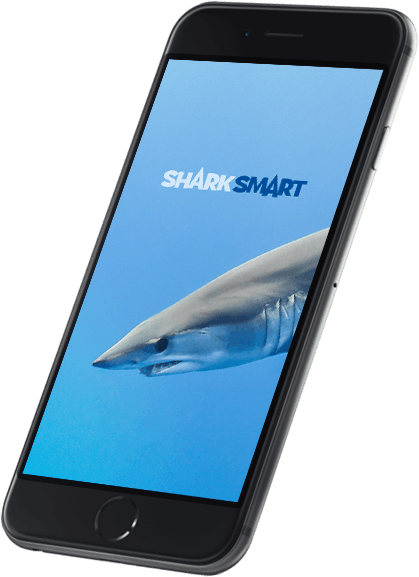 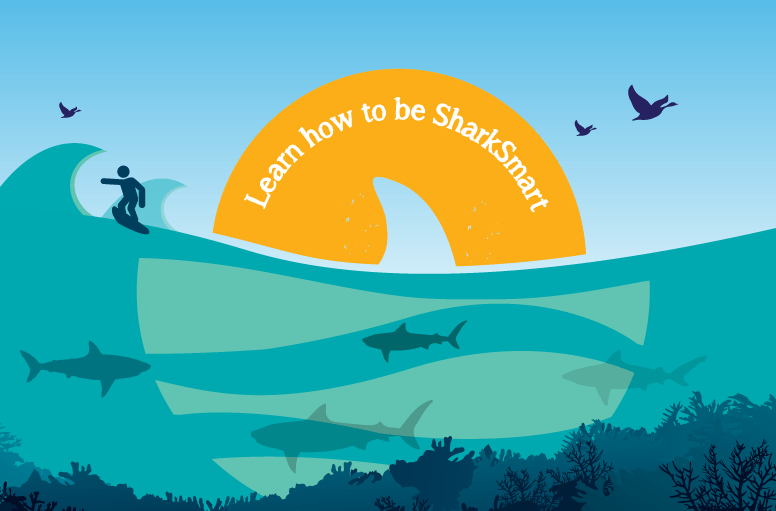 Stay SharkSmart with our app Check the latest sightings and tagged shark detections before you hit the water in NSW. 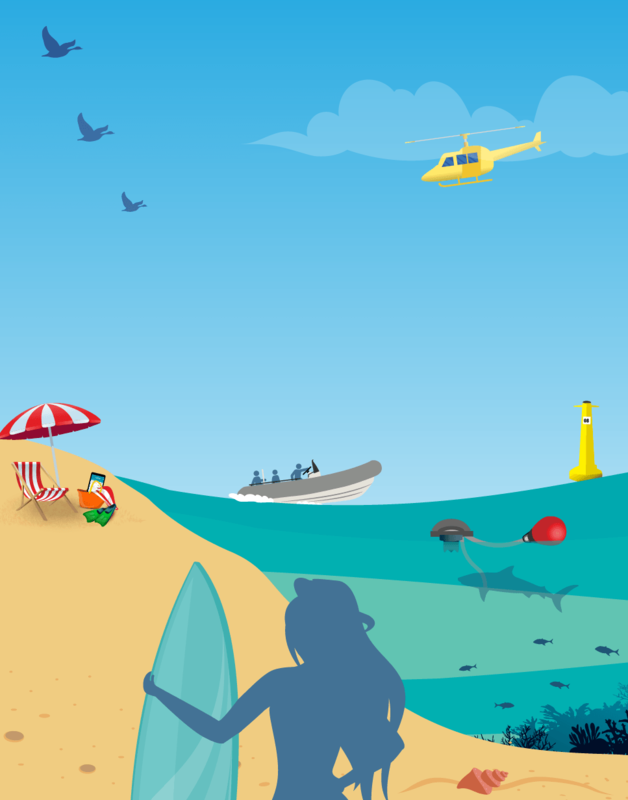 For iOS visit the iTunes store, or for Android visit Google Play. 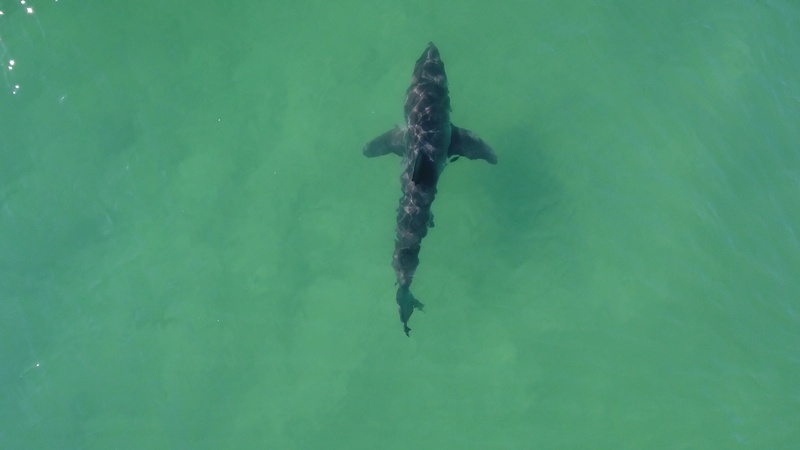 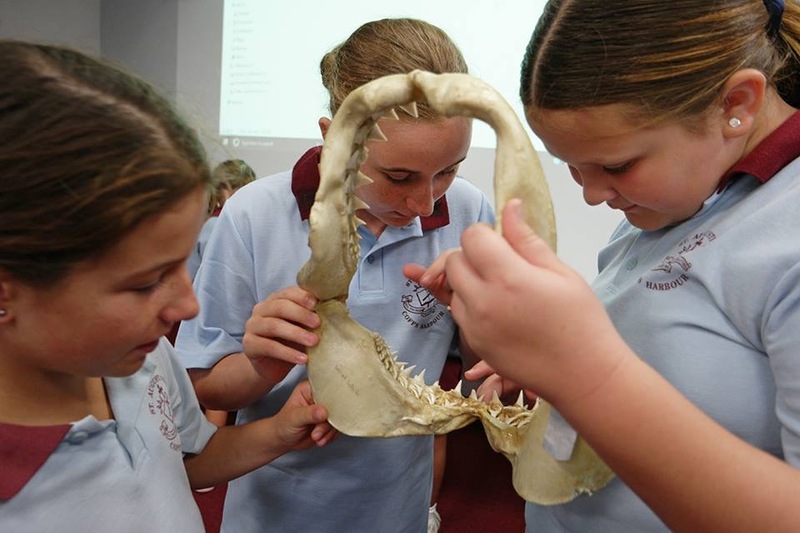 The NSW Government is continuing its efforts to increase its knowledge about the movement and ecology of White, Tiger, and Bull sharks, and trials of technologies to reduce the risk of shark bites at our beaches. 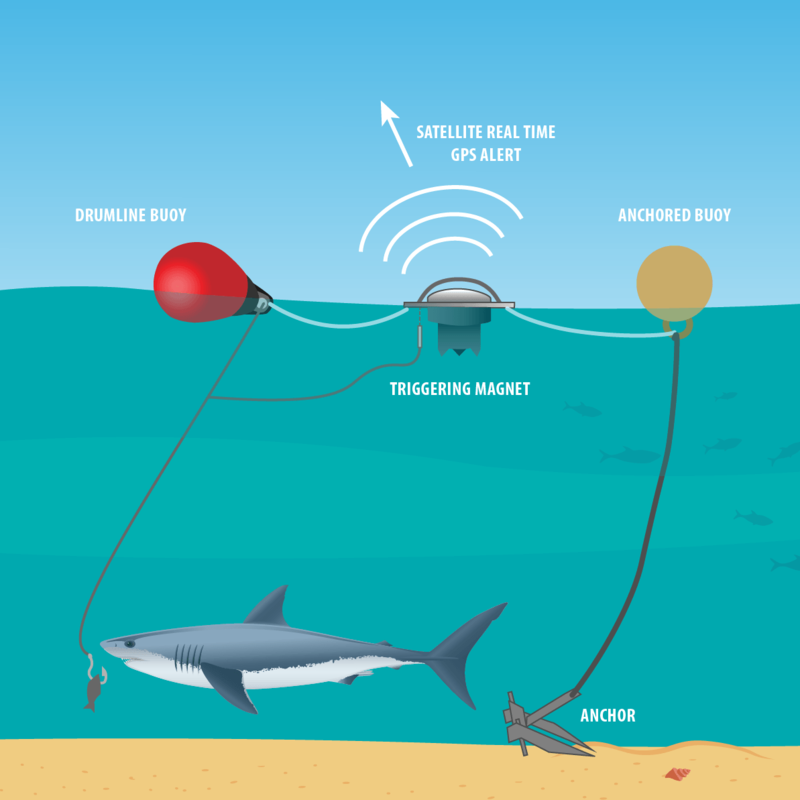 NSW is leading the world in trials of SMART Drumlines, which are both a shark mitigation tool and a research tool that reduce the risk of interactions with sharks while minimising the impact on marine species. 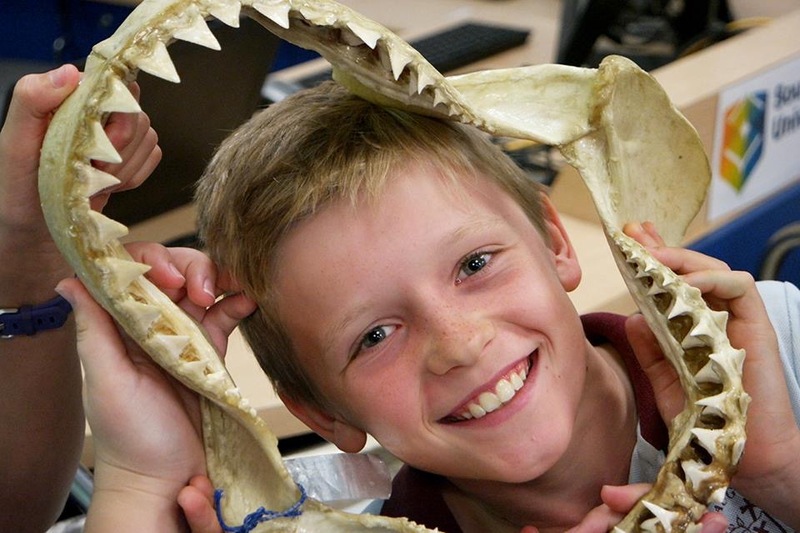 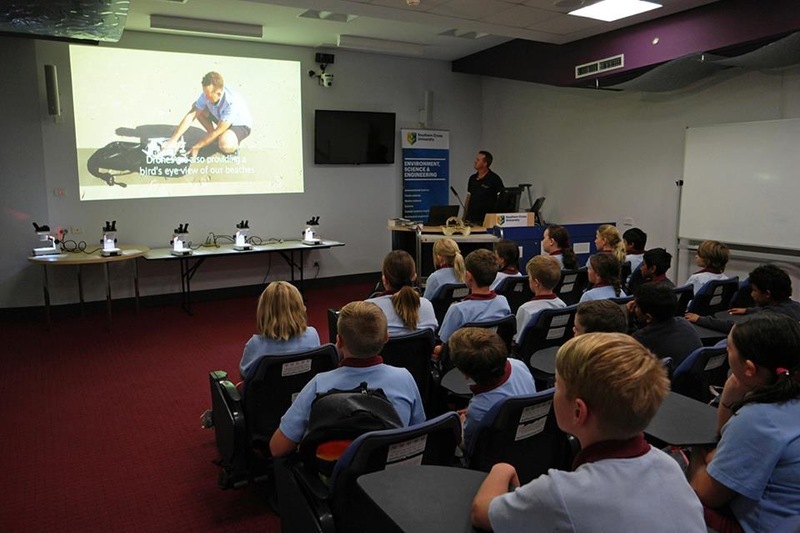 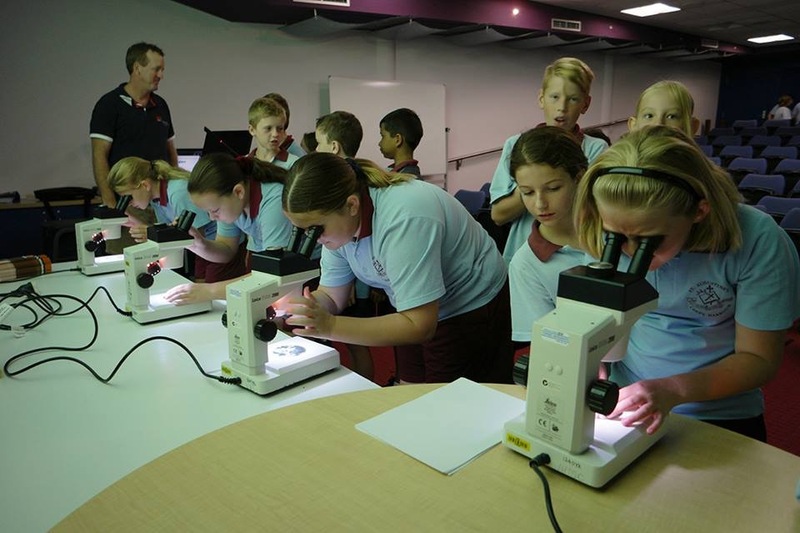 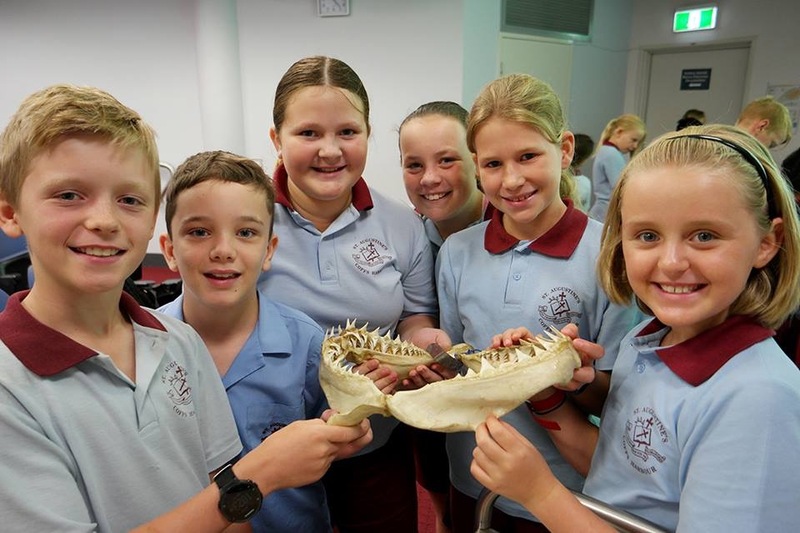 Dr Paul Butcher hosted Year 5 students from St Augustine's, Coffs Harbour recently, discussing shark biodiversity, the NSW Shark Management Strategy and how to be SharkSmart.